We are a family run business based in Burwell and have been trading for over 30 years. In that time we have gained a great reputation for hard landscaping, driveways and all types of groundwork. We have been a proud member of the Marshalls Register since 2008 and in that time have undertaken a large number of installations using Marshalls products. We are groundwork contractors who specialise in all types of hard landscaping,foundation and drainage work; ie. everything underneath your new building project. All drainage solutions, foundations, garden walls, fencing and turfing of any size. 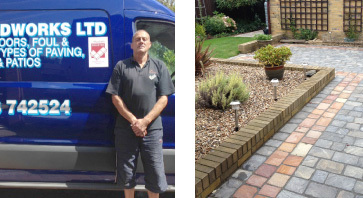 Our expertise will create your patios and driveways to a high standard as we only use quality products and everything is laid to British standards. Our driveways are guaranteed not to sink or rut as we only lay them on a porous concrete sub-base. 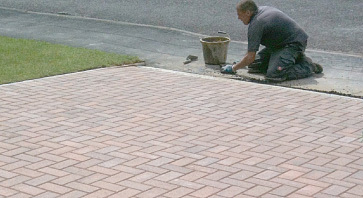 We also offer a block paving cleaning and sealing service. Why use GKD Groundworks for your paving? I keep the company small, so from start to finish I will be dealing with your project, actually preparing and laying your driveway myself with trusted labour to keep the quality high.